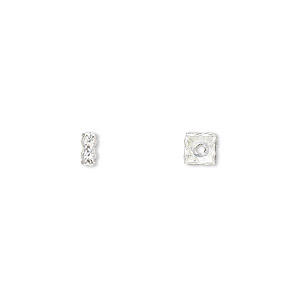 Bead, Swarovski® crystals and rhodium-plated brass, crystal AB, 4x2mm square rondelle (77604). Sold per pkg of 48. Item Number: H20-8316MB Have a question about this item? Feel the difference--Swarovski, the world's leading crystal manufacturer, has added heavier plating and increased the size range of their existing line of square rondelles. Beautiful quality, captivating sparkle, substantial feel. Large drill holes accommodate heavier cord. 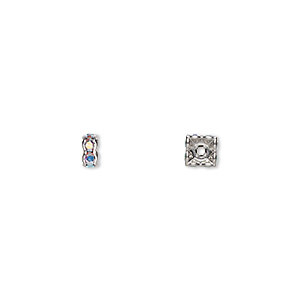 Bead, Swarovski® crystals and rhodium-plated brass, crystal AB, 4x2mm square rondelle (77604). Sold per pkg of 4. 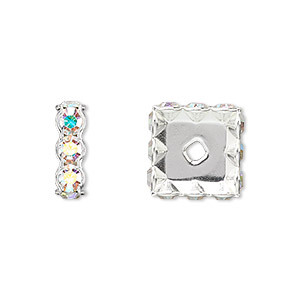 Bead, Swarovski® crystals and rhodium-plated brass, crystal AB, 4x2mm square rondelle (77604). Sold per pkg of 144 (1 gross). 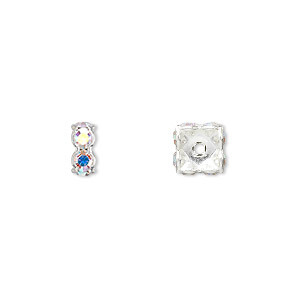 Bead, Swarovski® crystals and rhodium-plated brass, crystal clear, 4x2mm square rondelle (77604). Sold per pkg of 4. Bead, Swarovski® crystals and silver-plated brass, crystal AB, 10x3.5mm square rondelle (77610). Sold per pkg of 4. 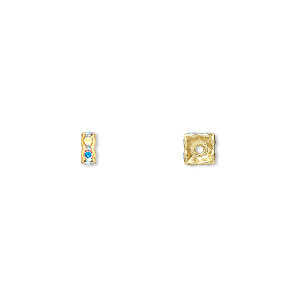 Bead, Swarovski® crystals and silver-plated brass, crystal AB, 12x4.5mm square rondelle (77612). Sold per pkg of 4.